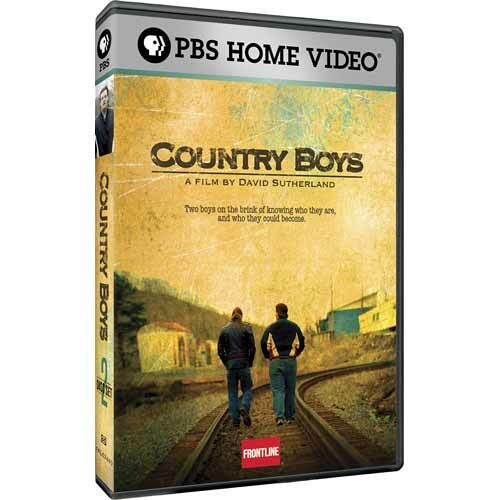 Country Boys is a moving portrait of the trials and triumphs of Chris Johnson and Cody Perkins, two teenaged boys coming of age in eastern Kentucky's Appalachian hills. Cody and Chris are classmates at an alternative high school who inhabit the same world yet are light years apart. Cody is an orphan. After being passed among relatives, Cody chooses to live with his former step-grandmother, who opens her heart and home to the lost youth. Chris, meanwhile, lives in a rundown trailer with his family. With both parents often absent, Chris finds himself thrust into the role of caretaker-emotionally supporting his siblings while his disability check and string of low-paying jobs financially support the family. The film documents Chris and Cody's struggles to overcome dysfuntion and poverty and to find meaning in their lives. For Cody, that sense of belonging is found through his heavy metal Christian band, his faith in God, and his relationship with his girlfriend Jessica. Chris, however, is torn between devotion to his family and a desperate need for an education. He searches, often in vain, to find a bath where he can meet all his family responsibilities without losing his sense of self. Country Boys is an intimate story of that exquisite twilight of adolescence, when all young people find themselves caught between who they are and who they could become.